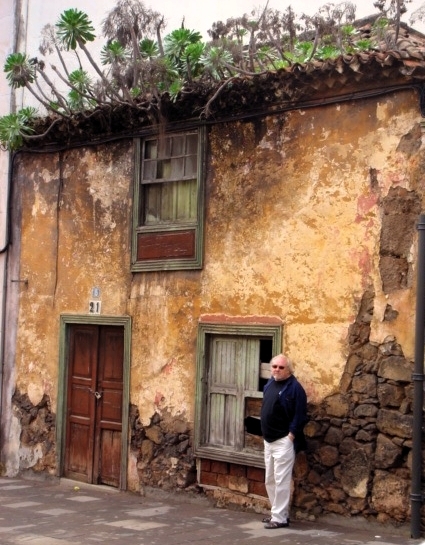 Peter, recently on a 'writing holiday' in La Laguna, Teneriffe, indulges his hobby of posing in front of dilapidated houses. . .